Do you believe privacy is a fundamental human right? Are you tired of the continuous profiling and online surveillance? Then, join us in our fight for a more secure and private internet! 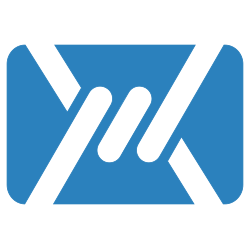 Mailfence, one of the world’s most private and secure email solutions, is hiring an experienced front-end developer who enjoys creating and building the user experience of products as well as the under-the-hood components that make it all work. This is a great opportunity for someone who wants a diverse technical experience that also embraces the human factors side of making tools that people depend on every day. ContactOffice is one of the European pioneers in the field of email messaging and cloud collaboration. The company was founded in 1999 by Belgian internet pioneers Arnaud Huret and Patrick De Schutter. In 2016 ContactOffice launched Mailfence (https://mailfence.com) one of the world’s leading secure and private email solutions. We believe that online privacy is a fundamental human right. Previous story Encryption Backdoors: Can they work?